Globally, pneumonia and diarrhea together led to nearly one of every four deaths that occurred in children under five years of age in 2016. 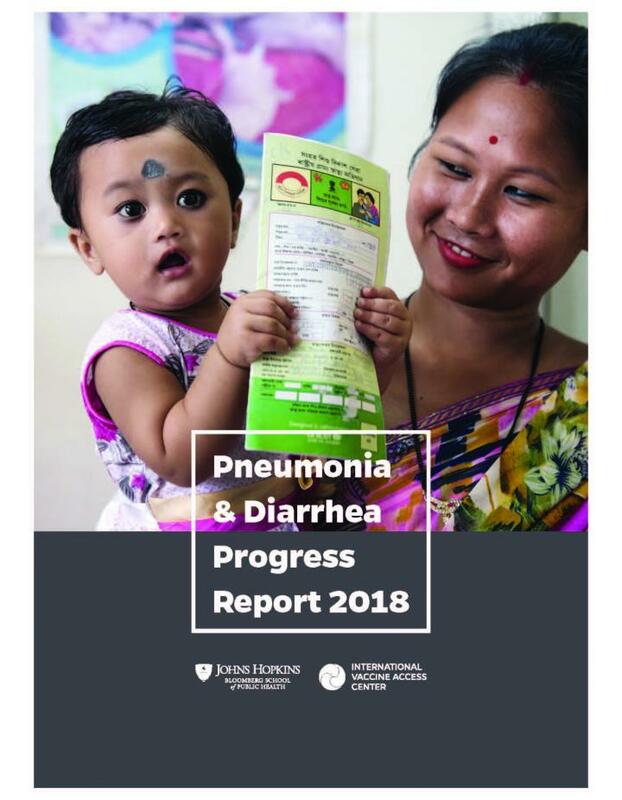 The 2018 Pneumonia and Diarrhea Progress Report–released ahead of the 10th annual World Pneumonia Day, on November 12, by the International Vaccine Access Center (IVAC) at the Johns Hopkins Bloomberg School of Public Health–describes efforts to fight pneumonia and diarrhea in 15 countries with the greatest number of deaths from these illnesses. The Pneumonia and Diarrhea Progress Report, issued annually by IVAC for nearly a decade, finds that although countries are making progress toward improved vaccine coverage, they seriously lag in efforts to treat childhood illnesses–especially among populations that are remote, impoverished, or otherwise left behind. The authors conclude that in order to accelerate progress, governments must collect better data on a regular basis. The global community must prioritize improving access to prevention and treatment interventions for children who are now not being reached. Funders must continue or increase support for proven solutions–or risk having progress slip away. Finally, integrating strategies related to health systems, poverty, and education may yield opportunities to improve equity in many countries.